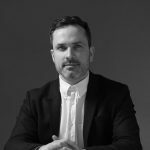 David has broad experience working in graphic design for print and web, with an emphasis on visual identity projects since he co-founded the graphic design studio WorkGroup in 2006. The focus of the studioʼs work is to create useful, beautiful graphic design for print, screen and identity, which we do for a wide variety of clients. Recent awards include the IDI Irish Design Awards for Best Book (2017) and Best Website (2016). The studio’s work has been featured in national and international publications including Travel + Leisure, New York (2015), New York Times (2015), Wallpaper* (2014), Computer Arts (2013), Monocle (2012), The Irish Times (2013, 2012, 2010).